This property sits on a point or small peninsula which is called Chapman point. It's the southern edge of the Bay of Mendocino offering a unique view unsurpassed on the North Coast of California. Chapman Point is named after the family which owned all of the land here before it was subdivided. With that said there are very few homes on Chapman Point. Needless to say this is a very, private, and secluded area. All roads leading to the property are considered private and there is no through traffic whatsoever. The Chapman legacy is seen everywhere on the properties. Although some of the area is blocked where nobody can walk too much of the area is open and walking along the seaside cliffs offers breathtaking views. Just on the other side of the road is all public park land. The uniqueness of Cypress Cove comes in four words Location, Tranquility, Views, and Privacy. Frankly the pictures and videos I have provided don’t give it justice. Even the locals when they show up start taking pictures. The historic town of Mendocino is close with shops, Art gallery’s, Hiking trails, Whale watching during certain parts of the year, golf and so many other things this area and property seems to have an all. 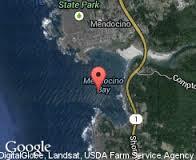 We discovered this property during our 33rd anniversary while staying in Mendocino. Living in the Bay Area we have not spent a lot of time in this area. However after just two days we decided to look around and see what was available on the real estate market. We found this place within minutes, call it an impulse buy, we decided to move forward. We have some projects, we're going to paint the entire house in April, there are some minor projects that need to happen around the property in order to provide for a better experience.